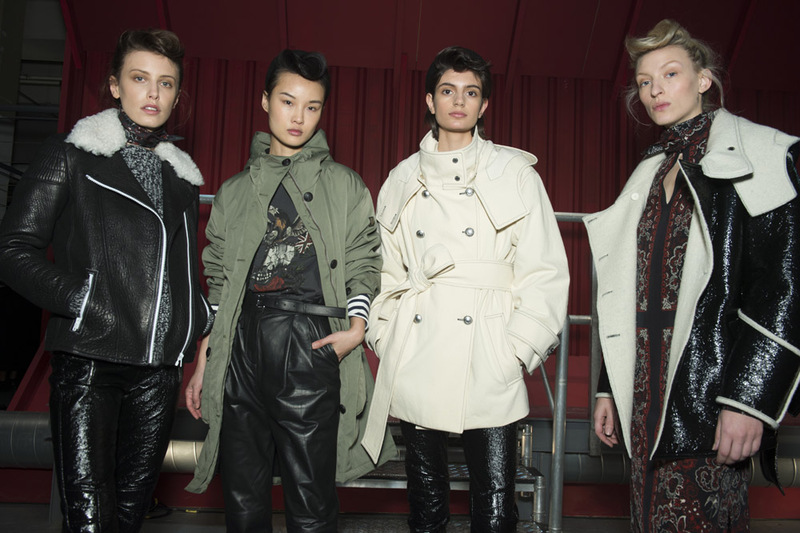 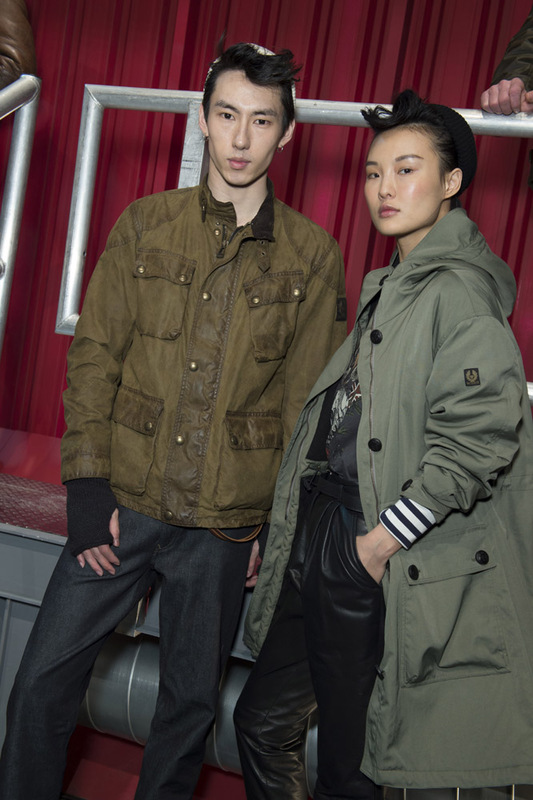 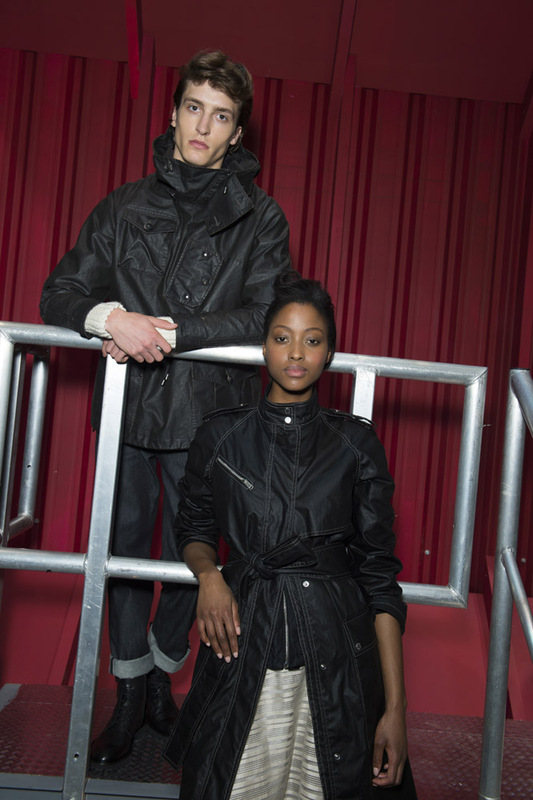 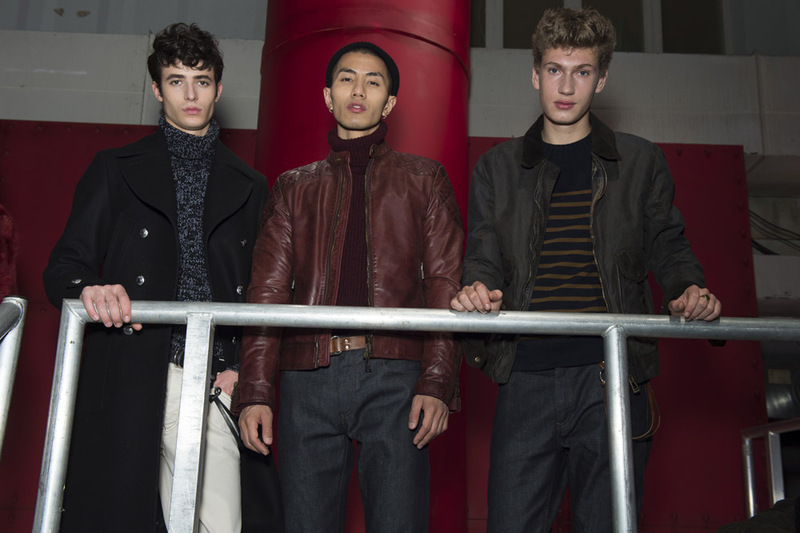 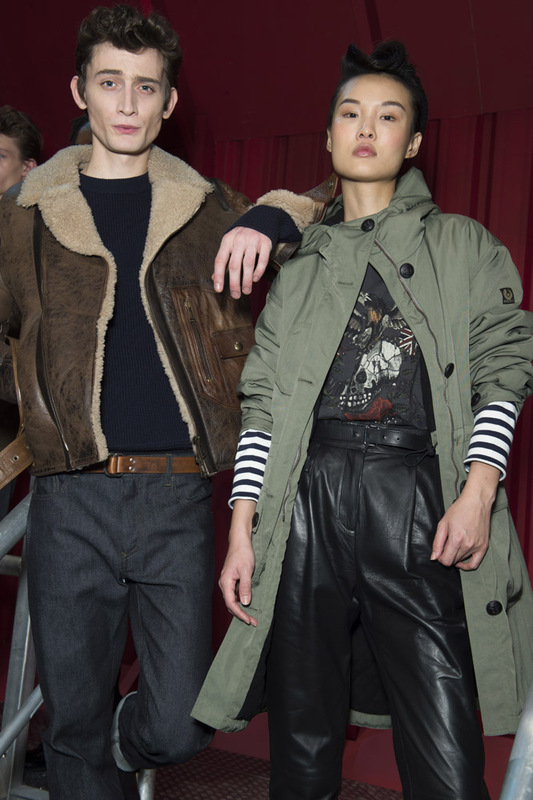 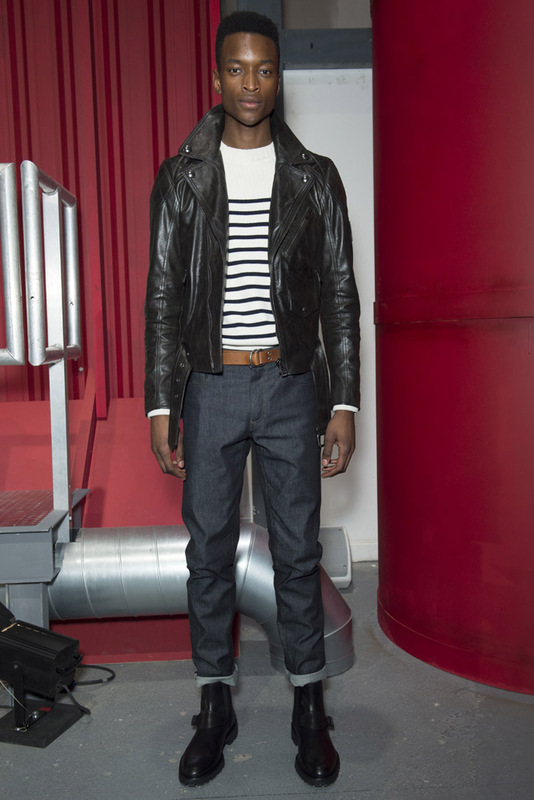 The fourth day of London Fashion Week Men’s saw Belstaff present their men’s and women’s collection entitled Jolly Roger. 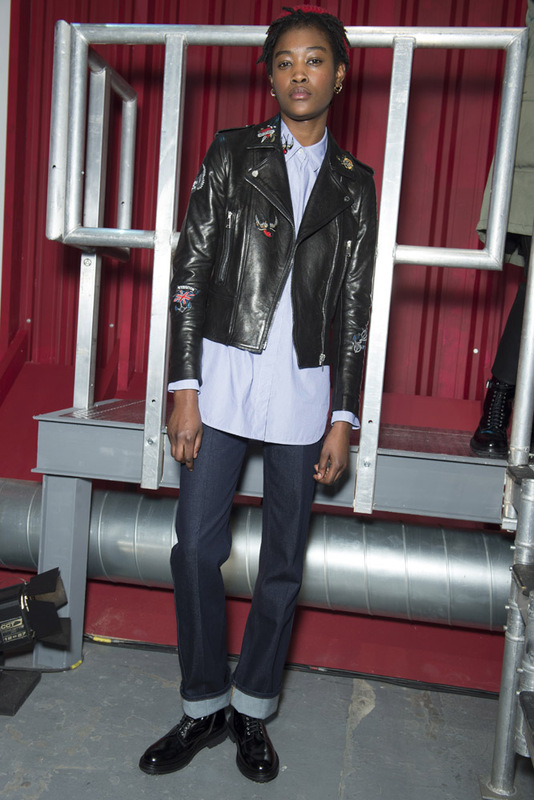 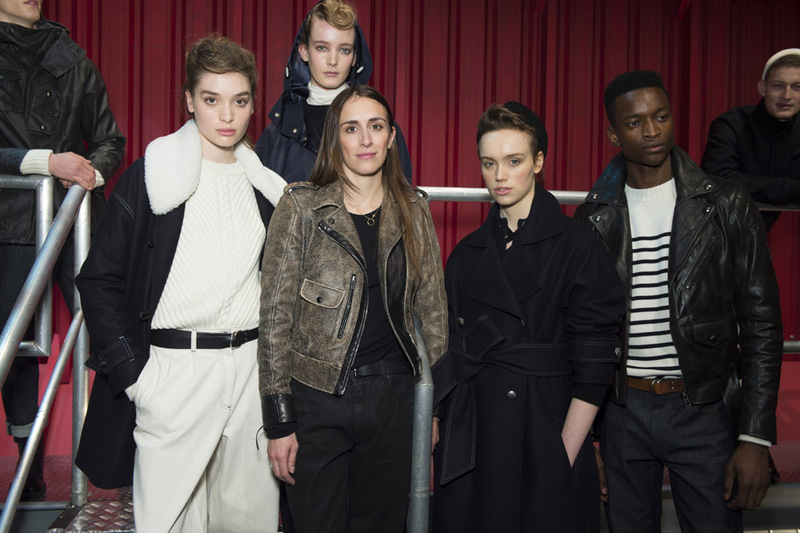 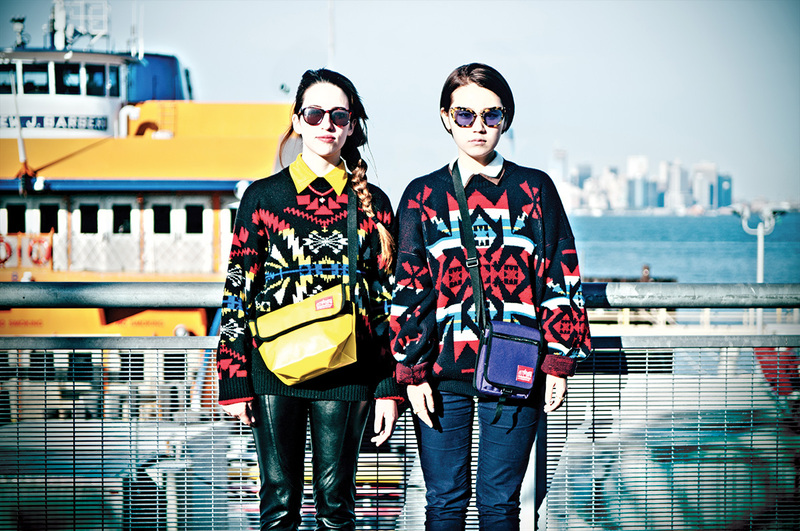 The pieces took on a tough, nautical feel with the womenswear collection presenting a somewhat androgynous feel. 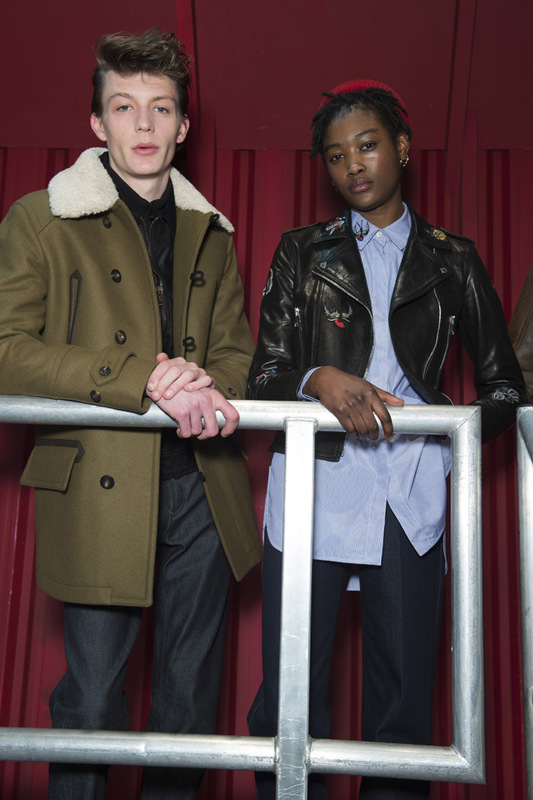 The collection is a “tribute and testament to the incredible clothing worn by the British Royal Navy throughout WWII,” elaborating on a historical contextual inspiration for the pieces, creating a sense of gravitas and meaning behind the collection. 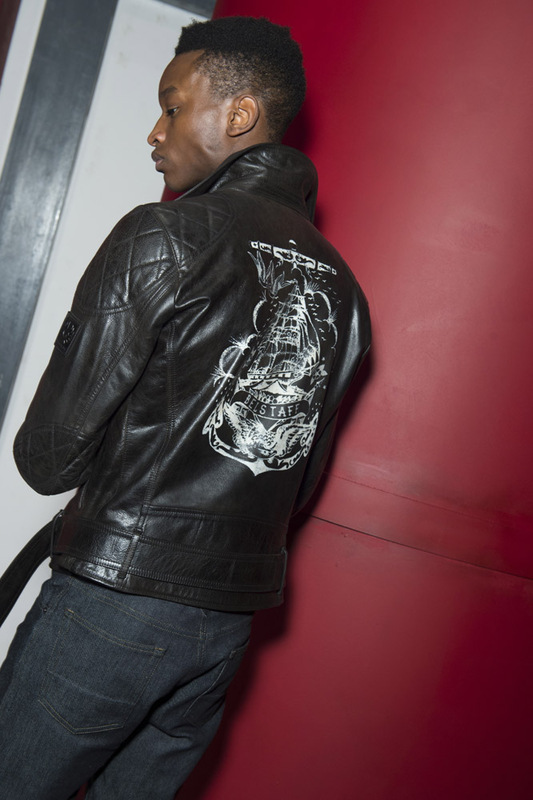 Perhaps one of the most intricate elements that helped to encompass the naval theme was the naval tattoo designs places on the backs of jackets and shirts, adding a complexity to the muted background colours which were synonymous throughout. 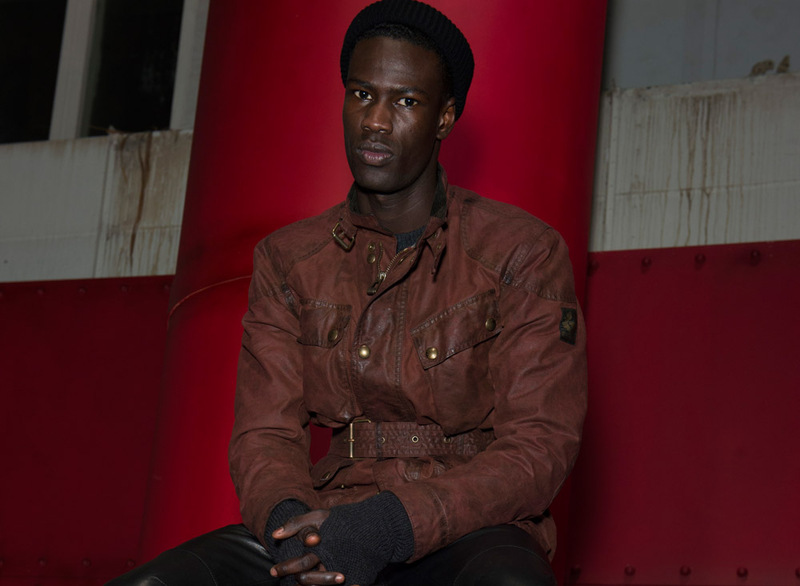 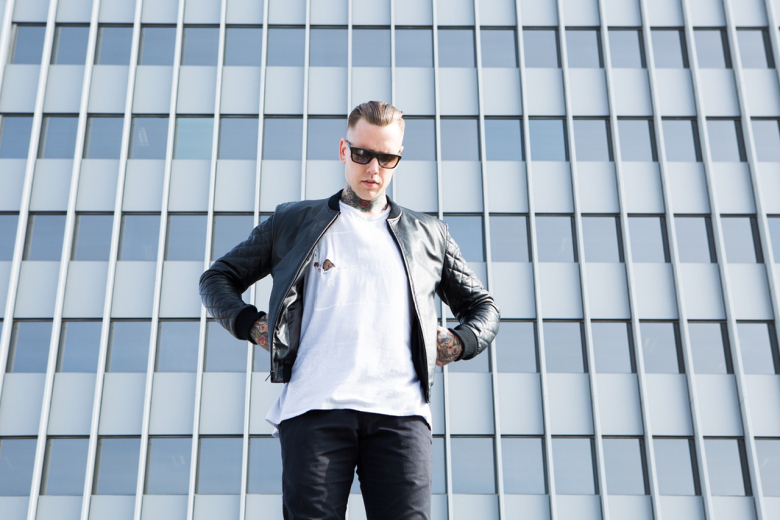 The jackets were core pieces to a lot of the collection, one of our favourites, the Trialmaster featuring in a dusty red waxed cotton, that had a certain versatility to it. 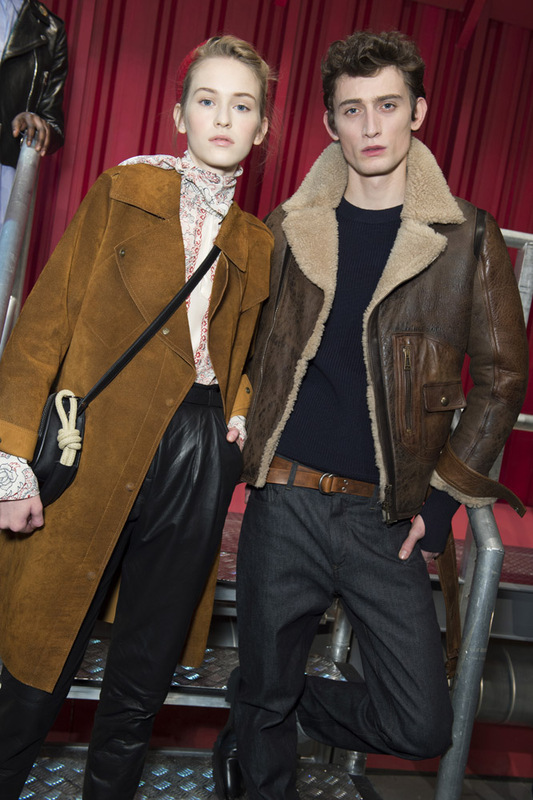 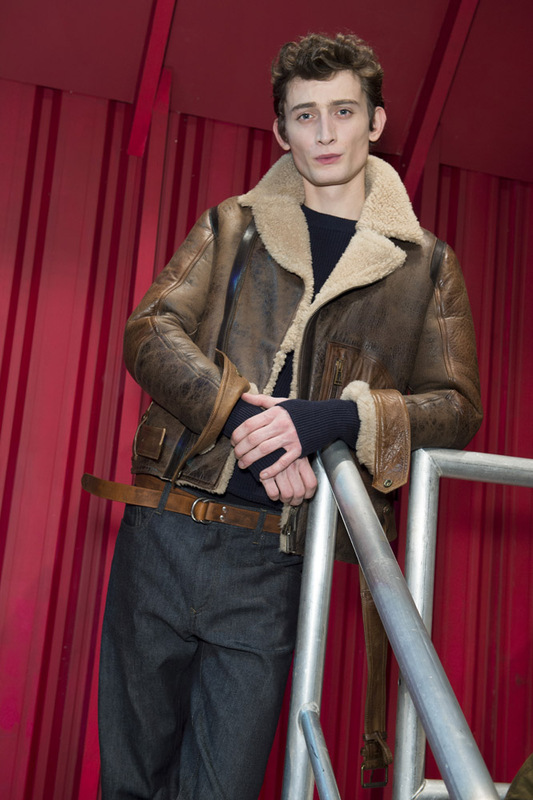 The pieces worked to create a message and homage to Belstaff’s history as dressers for the British Navy but allowed room for modernity and relevancy in today’s fashion world – linking in with a military theme seen across a large amount of the collections at this AW17 Men’s Fashion Week in London. 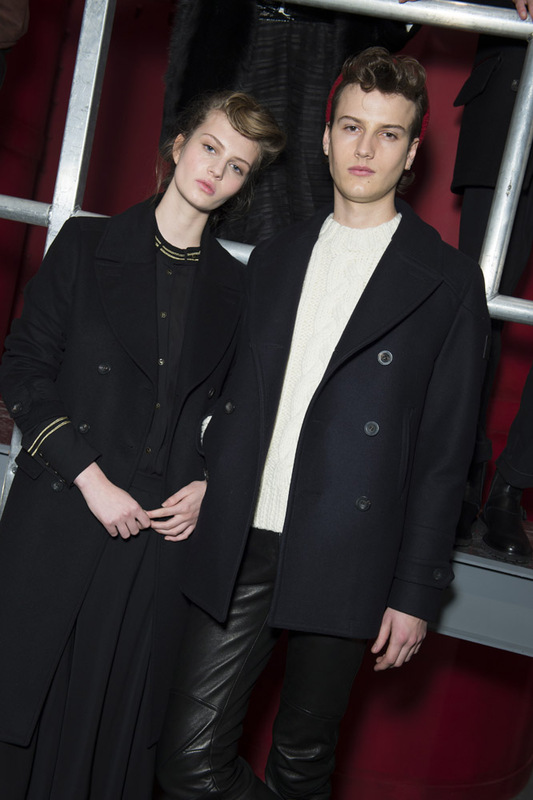 Beyond the clothing, the entire presentation took aboard a naval theme, with oysters and fish soup by Black Roe, and gin cocktails courtesy of Slingsby. 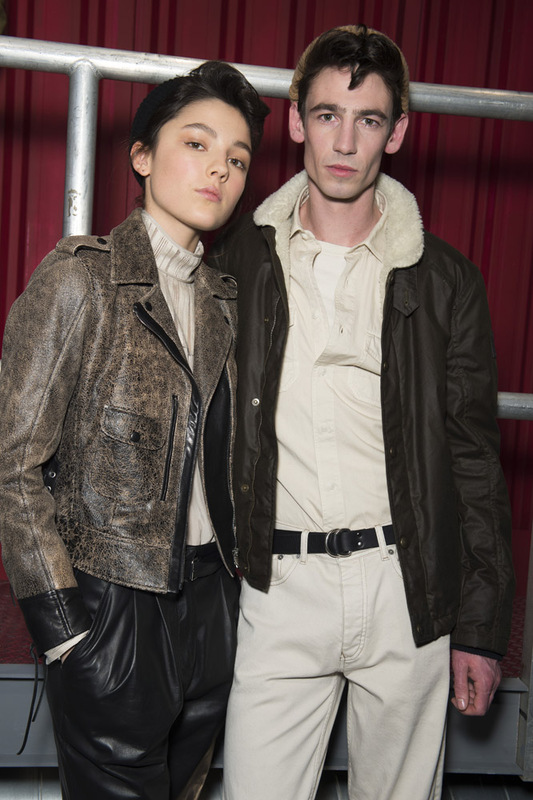 The presentation was set against the backdrop of a vessel, with models placed at different levels to signify the “mood of life on the ships and docks.” Overall the collection successfully delivered a respectful nod to the brand’s past in a stylish, sophisticated and high quality way.